Wisconsin is blessed with a dearth of old barns throughout the countryside. Driving from my home to Madison, Milwaukee, or Green Bay means I’ll pass one eventually. Taking a few minutes to explore the backroads often leads to fantastic findings. 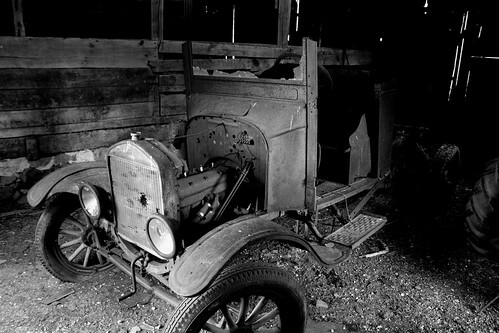 Above is a beautiful old Ford truck that appears as though it hasn’t moved an inch since the 1930’s. This is an easy find for any beginner and it is relatively safe. Let me know if you come across it!